We are the national civil society campaign to remove the 8th Amendment. Together with men and women all over Ireland, we are campaigning for a more compassionate Ireland that provides abortion care to women who need it. 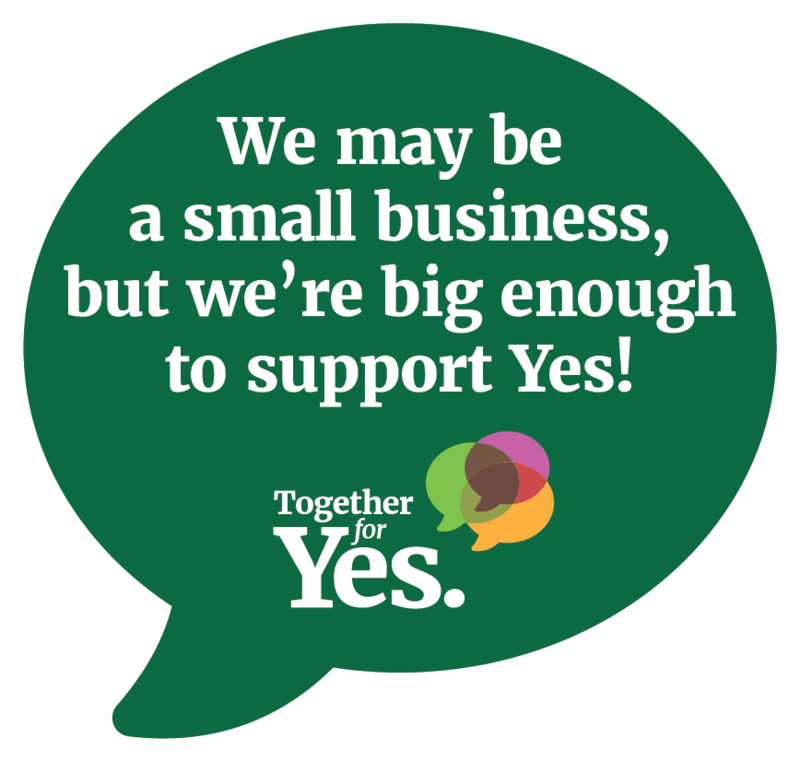 We in Together for Yes want your support as a local business and key member of your local community. Your voice is an important part of this. We want to make sure that the people who are still undecided can access all the information they need from trusted sources to make an informed decision. Here are a few ways that you can help us achieve this. 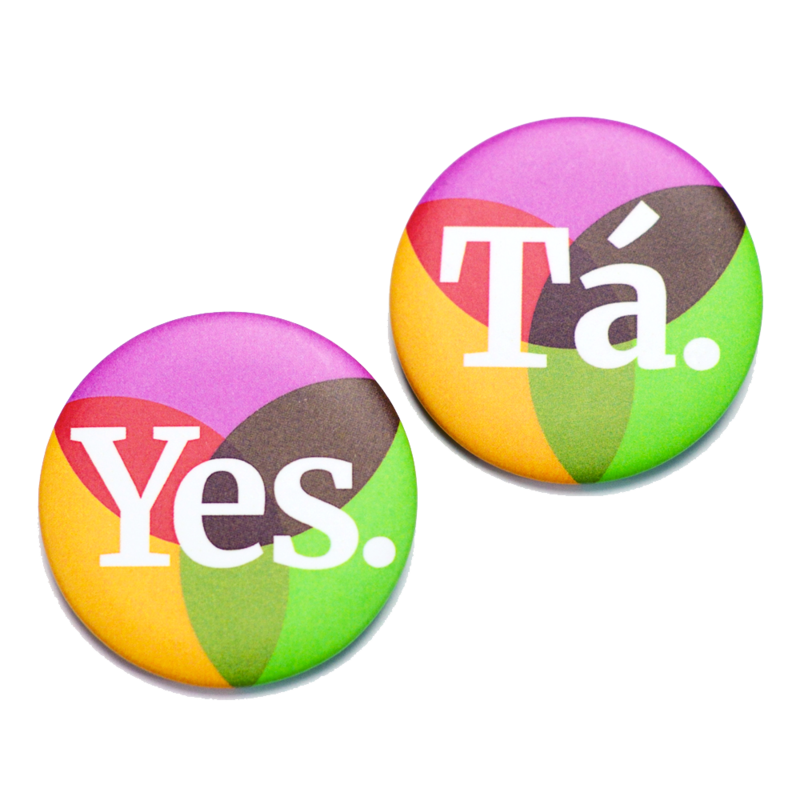 We have small boxes of our Tá and Yes badges for you to sell to your customers. These are available at togetherforyes.ie/shop in boxes of 50 or 100, at €1 each. 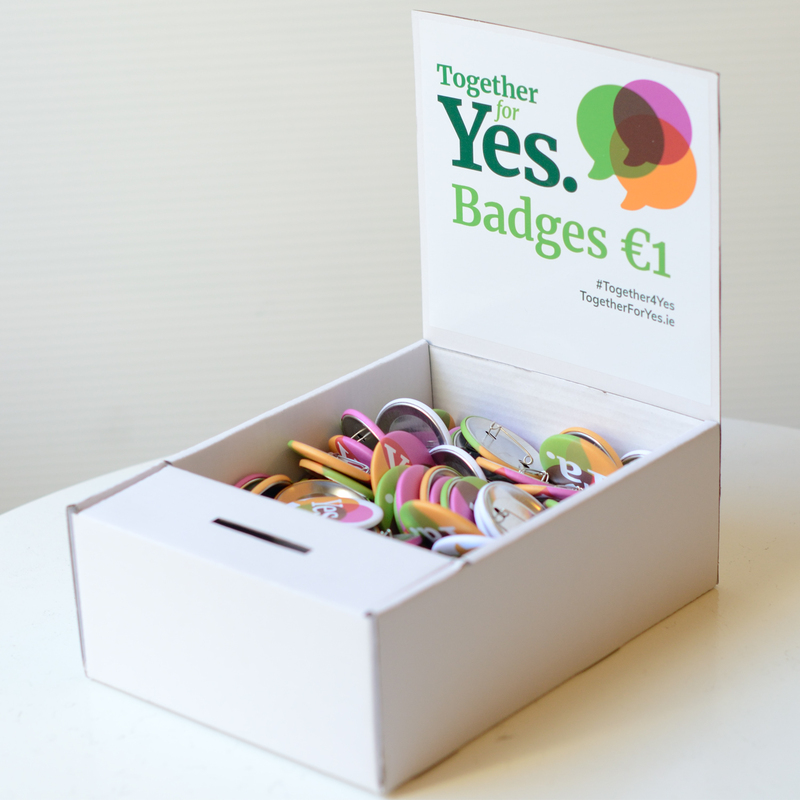 If you have a website or social media account, you can add a Together for Yes badge, created specially for small businesses, along with some information of your own to tell your customers why you are supporting the campaign. 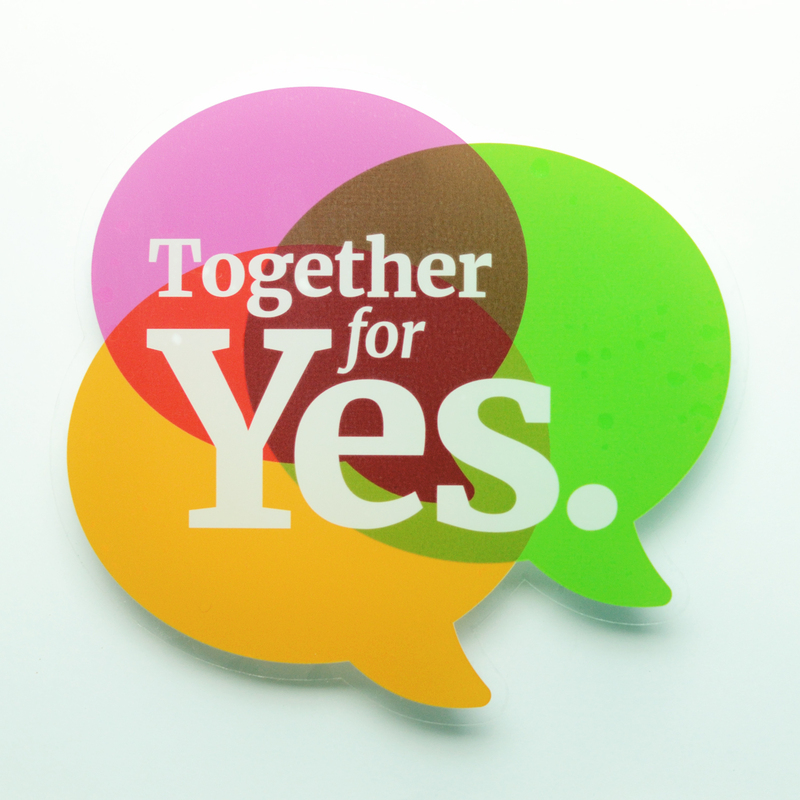 The badge can be linked to the Together for Yes website to allow visitors find out even more. If you’re interested, just e-mail fergal@togetherforyes.ie and we can send you the high-resolution image. Finally, if you want to help the campaign reach even more people, you can donate much needed funds. All donations will be put to good use by your local group and nationwide, to help us get the message of care, compassion and change far and wide between now and polling day. Donating is easy – just visit togetherforyes.ie/donate.